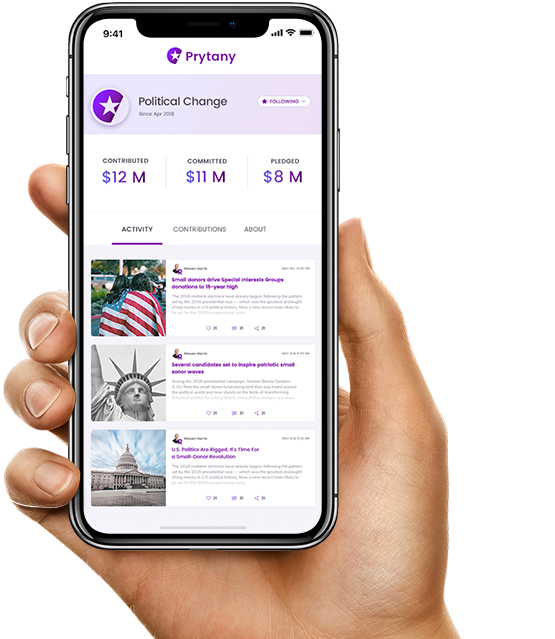 Connect with, learn about, and support all your candidates and issues in one place. Support issues and candidates you care about. Learn about all the candidates. If you decide to contribute, control when and how much. Pledge contributions to support policies that matter. Find like-minded individuals. Join a movement and amplify your voice. Create grassroots momentum for candidates and issues. Engage directly with verified users and grow grassroots momentum. Get involved now by making contributions and having your voice matter. 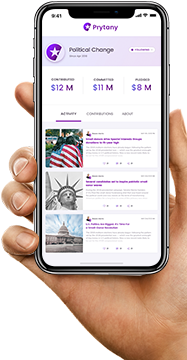 You can make contributions of up to $2,700 per election (primary and general are separate elections) in support of a candidate or against a specific candidate by supporting an opponent. You can contribute up to $33,900 per calendar year to any national party committee. You can make contributions to causes and issues by contributing to the National party that supports your position.